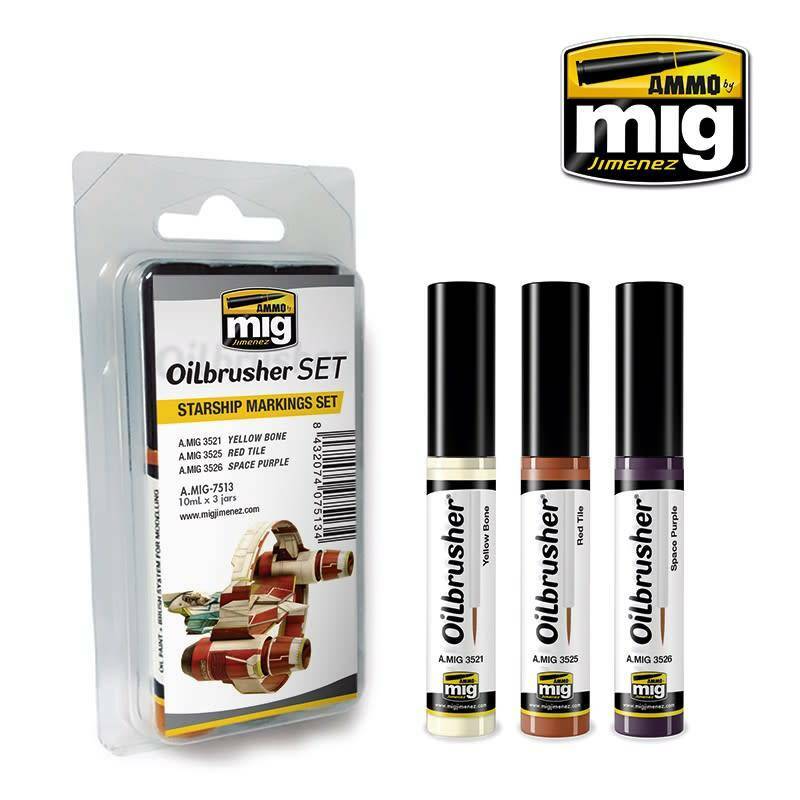 This unique range of Oilbrusher colors for painting and weathering offers the convenience and accuracy that you expect from AMMO by Mig Jimenez. This set contains three tones that will allow you to apply the most realistic insignia colors on your models, making the choice of colors simple. 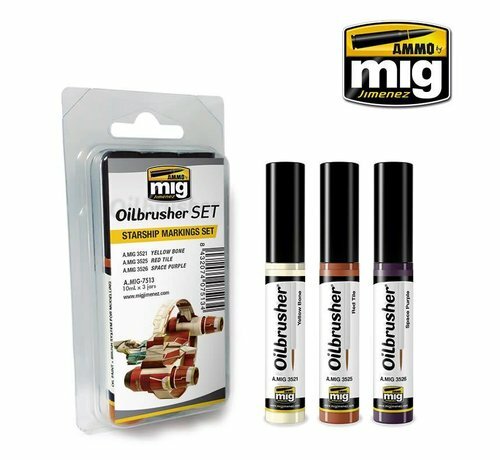 Oilbrusher is the innovative oil paint with built-in applicator brush; this unique and practical AMMO feature ends the need to clean up messy oils after each use. The modern container also includes the dispenser–cleaner system which removes access paint from the brush. 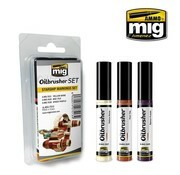 This revolutionary design saves both product and cost, while offering a clean and simple to use alternative to traditional oils which are both expensive and inconvenient.